We signed new contracts with 9 certified companies in March 2015. We’re coming to the end of the process in which certified companies work to meet all the standards and complete all the tasks needed to start providing services through GOV.UK Verify under the new contracts. Following some questions from readers of the blog, we thought it might be useful to summarise what that process involves. 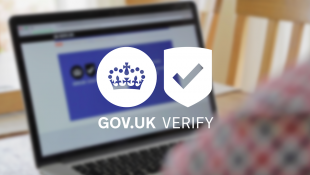 Certified companies are there to give users safer, simpler and faster access to government services through GOV.UK Verify. It’s important that they prove to users and government that they’re capable of doing this well, and that users can trust them to do so. We’ve posted before in more detail about making sure certified companies are ready to connect. After certification and connection to GOV.UK Verify, the companies commit to continuously meet standards and improve, based on detailed analysis of performance and user experience. Both this page and "How the GOV.UK Verify technical architecture protects users' privacy, and why it's appropriate" page have empty bullet points in the "You may also be interested in:" section at the end. Are there missing entries, or just one too many bullets? Thanks for your comment, Malcolm. We've tidied up those rogue bullet points now. "attesting the authenticity of deeds and writings" is a notarial function, regulated by the Faculty Office of the Archbishop of Canterbury, based on the 1533 Ecclesiastical Licences Act. Do all these companies, who are attesting authenticity, regulated by that office, and if not, why not?